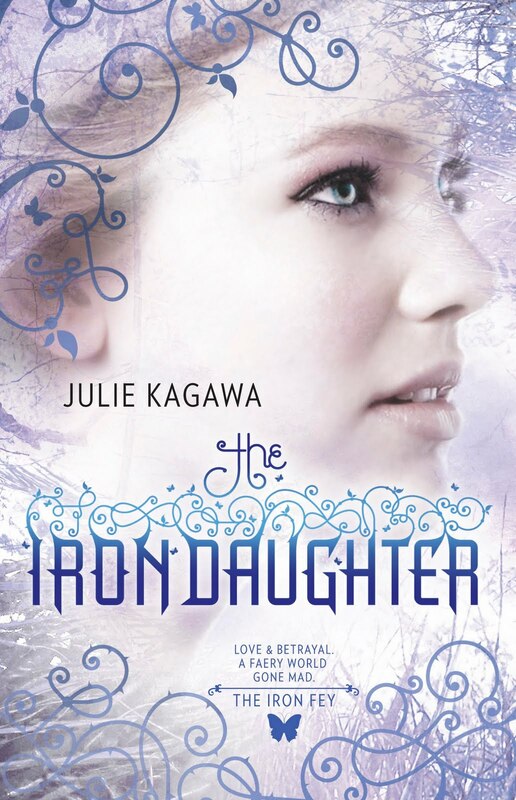 After reading and loving The Iron King, I didn't think The Iron Daughter would stand up to the characters, plot, pace, and imagery in The Iron King. I was afraid the dreaded "slow second book in a trilogy" phenomenon would be at play here. Once again, I'm so happy to be wrong! The Iron Daughter was outstanding. Books like this are why I read YA. I had one complaint about The Iron King and that was that the love story between Ash and Meghan felt rushed. I won't spoil the plot of The Iron Daughter but let me say that I no longer have that complaint. The romantic tension between Ash, Meghan and Puck is so thick you could cut it with a knife. Meghan does make a decision between the two fey in The Iron Daughter so we don't have to wait for The Iron Queen (coming February 2011) for that part of the story to be resolved. But wait, this is Julie Kagawa we're talking about. She may shock us all and change everything! This series has it all: love, betrayal, discovering a new world with its own rules, a delicious love triangle, action, plot twists, and the protagonist finding her identity. I would recommend this series to anyone, not just YA, paranormal, or faery tale fans. I predicted a couple of the plot themes. This was overshadowed by the fact that I did not predict several major plot twists. Kagawa's faery world is so unique. It's unlike any other I've ever read. Yes---although the ending left me wishing for an "Isle of Esme" chapter. For all of you non-Twilight fans, that's where Bella and Edward spent their steamy honeymoon. Oh my! I want to know WHO she chooses. The Iron King and Winter Passage were excellent reads- I can not wait to see what The Iron Daughter holds for me. Great review! Can't wait for the book to come out.